It’s hard to beat a good margarita! This classic cocktail has grown a cult-like following in Alabama, battling to see who can shake up the biggest, most creative margarita. These 10 best places for margaritas will easily become your new go-to spot for Happy Hour. It’s in their name, so you know the margaritas here have to be good! Known by locals for the live music lineup and true Mexican fare, their margaritas make the perfect complement to every experience. Hand-squeezed limes and fresh fruit juices give you that made-from-scratch flavor that’s simply irresistible. Their outdoor patio provides the perfect backdrop for friends to gather. They have an entire menu dedicated to margaritas, with interesting favorites like a prickly pear margarita, sangria margarita, or the coveted strawberry champagne margarita. Or, join them for their Margarita Mondays and get ‘em for just $5! The margaritas here are crazy good, perfect for a day on the beach. They’ve got some of the most unique flavors you’ll find anywhere, including Orange Fanta, a Flaming Margarita, and even giant fishbowl margaritas. Pair one with their equally awesome tacos for a meal worth savoring. This Tex-Mex cantina is truly something special. The warm, inviting atmosphere is enough to make you sit and sip awhile, but their margaritas will keep you coming back. Frozen or on the rocks, flavored or classic, skinny or spicy, there’s something here for every appetite. There’s a reason their name include ‘rita’—they know how to make ‘em the best they can be! Made fresh from scratch, their flavor profiles appeal to every palate. Unique twists like jalapeno slices, coconut tequila, and even beer make for a lineup of margaritas that are simply the best. Classic margaritas and traditional Mexican fare make this place among the best. Fans love flocking here in the middle of the week to score ah-maz-ing deals on margaritas—just $2 each during happy hour! Plus, they always have great food specials so you can get a full meal to fit your budget. This ambiance here is straight out of Mexico, taking you on an international journey in your own hometown. The margaritas are particularly notable, with one of a kind variations you’ll want to try. Whether you love sweet and tangy, tropical, fruity, or classic, their margaritas will have you shouting Ole! 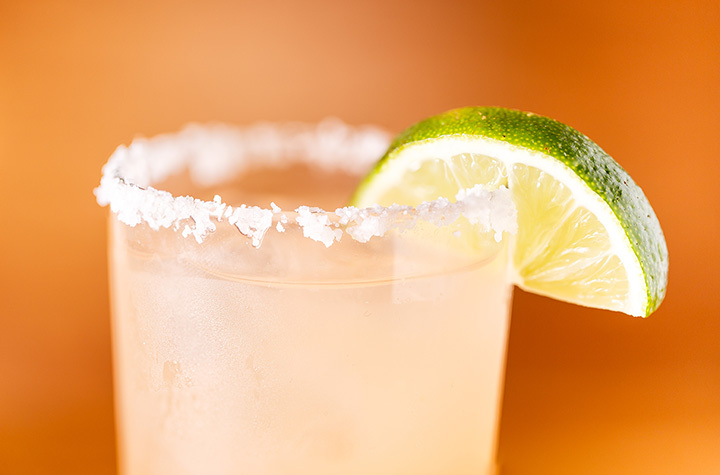 With one of the biggest selections of margaritas in town, you just can’t go wrong. You’ll want to plan your visit during happy hour, where on-the-rocks margaritas are just $2. They also have live music most nights during the week, giving you one of the best values in nightlife. Scrumptious salsa, sizzling fajitas, and the best margaritas in town—this place has it all! Unique varieties like the pomegranate margaritas are served up generous pours at budget-friendly prices. It’s not a big place by any means, but what they lack in size they more than make up for in flavor and quality. A refreshing take on traditional Latino food, this place specializes in all the best flavors of South American cuisine. Wednesdays you can score their margaritas for just $1. They keep it simple with just a few fruit flavors, but you can get them in different sizes—including full pitchers!